Pack Your Bags, Support Jobs! It’s National Travel and Tourism Week, and there may not be an industry in the country that contributes so much to the U.S. economy and is so fun to celebrate! You may not have thought about it, but your last road trip, night in a hotel, or weekend at the coast contributed to an industry that supports millions of jobs here in the United States. Travel and tourism generated $1.51 trillion for the U.S. economy in 2013. This industry is also the country’s largest services export industry, contributing a record $180.7 billion to U.S. export totals in 2013. Those exports support 1.3 million U.S. jobs. On top of the numbers is the contribution this industry makes to quality of life. Research shows that travel has a positive effect on relationships, education, and health! So what’s not to celebrate? We at the International Trade Administration’s National Travel and Tourism Office are proud to work with the U.S. Travel Association, numerous state agencies, and the private sector to support travel and tourism and highlight its beneficial effects on the economy. How has travel affected your life? Be sure to join the conversation on Twitter and share your story using #NTTW14. Then pull out your calendar – it’s time to plan your next vacation! Posted in Service Industries, Travel and Tourism, World Trade Month | Tagged National Travel and Tourism Week, tourism, travel | Comments Off on Pack Your Bags, Support Jobs! Amy Wasserbach is an intern in the International Trade Administration’s Office of Public Affairs. She majored in International Studies at Colorado State University. During the Valentine’s season, people all around the world take time out of their daily routine to show affection toward each other. We embody this special occasion through exchanging gifts, sharing a meal, or making cards, but what better way to spend the holiday than a romantic get-away with your “suite-y”? From the snowy peaks of the Rocky Mountains to the tropical beaches of Hawaii, America has many romantic vacation spots to offer foreign visitors. More and more people around the world are taking the opportunity to share a romantic sunset or a candlelight toast in the United States. The United States hosted 4.4 million international visitors in February 2013, six percent more than the same month in 2012. Travel and tourism exports totaled $180.7 billion in 2013, an increase of more than 9 percent when compared to 2012. This makes the United States number one globally for world travel receipts and second in international visitors. Tourism and travel are a vital part of the US economy, making up 26 percent of service exports in 2013. The travel and tourism industry is a combination of sectors (e.g., traveler accommodations, food and beverage establishments, air transportation, etc.) that collectively supported nearly eight million American jobs last year. More than one million of those jobs were supported by international visitors alone. Historically the largest numbers of international visitors enjoying a vacation in America came from Canada, Mexico and the United Kingdom in. In 2014, the number of international visitors is expected to reach 71.8 million. Your travel and tourism business could benefit from this consistently growing industry through international exports! ITA’s National Travel and Tourism Office can help guide U.S. Travel and Tourism industry businesses to connections with their perfect international market match. 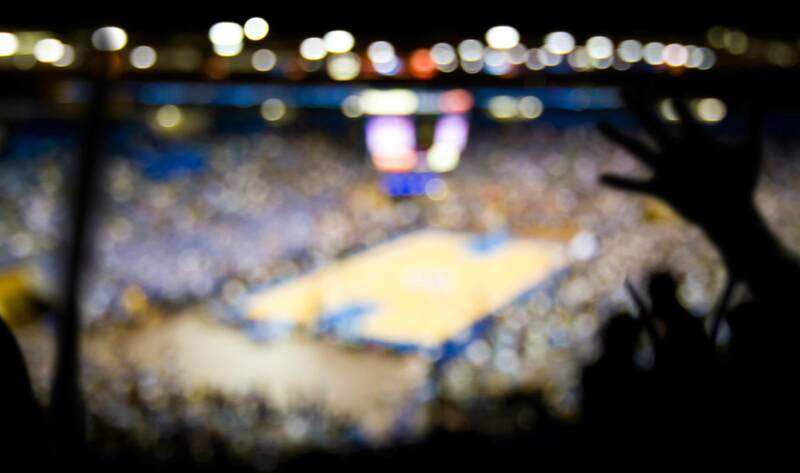 Let ITA help your travel and tourism business to sweep America’s future Valentine visitors off their feet! Richard Swanson is the Pacific South Regional Network Director for the International Trade Administration’s U.S. Commercial Service. 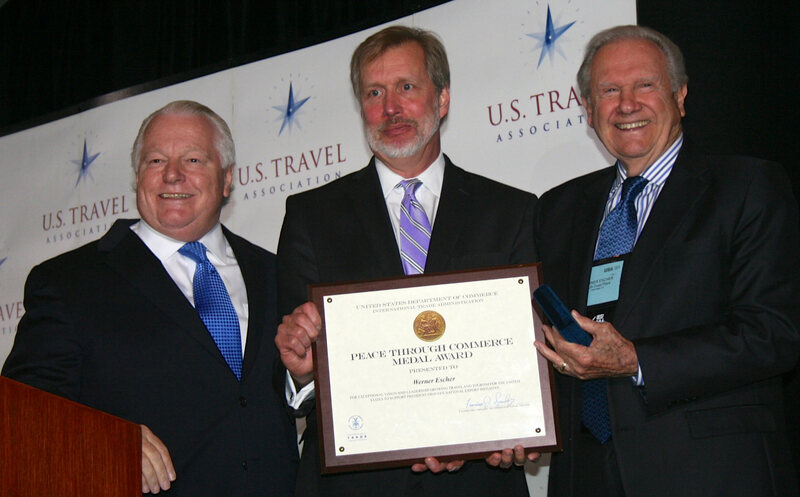 Werner Escher (right) receives the Peace Through Commerce Medal Award from then-Acting Deputy Under Secretary of International Trade Ken Hyatt (center) at the IPW Tourism Summit in June 2013. At far left is Roger Dow, President of the U.S. Travel Association. It is no accident that guests travel from countries like China, Japan, South Korea, Mexico, or regions like Middle East to seek out top brands, fashion, and dining in the United States. Werner Escher has understood this for four decades. As the director of domestic and international markets for South Coast Plaza in Costa Mesa, Calif., Escher has implemented a strategic plan to cater to international visitors. His efforts have made South Coast Plaza a major shopping destination for foreign visitors to Southern California, and he was recognized this year by the Department of Commerce with a Peace through Commerce Medal. That is a customer base that continues to grow. Travel and tourism exports experienced a seven percent increase in the first half of 2013 over the same time period in 2012, totaling $87.1 billion. What began as several modest promotional trips to Japan in the 1970s blossomed into a truly global marketing effort. In 1987, South Coast Plaza launched its “California Dream Promotion,” one of the largest overseas promotions in the history of the state. It put the shopping center on the map next to other Southern California attractions like movie studios, amusement parks, and zoos. South Coast Plaza now actively markets in a half-dozen countries, and its foreign language assistance program has translators that speak more than 40 languages. South Coast Plaza has recently turned its attention toward the growing number of visitors from China. Escher has teamed up with the U.S. Commercial Service to conduct training sessions for retailers on hosting visitors from China, and has spearheaded South Coast Plaza’s annual Lunar New Year celebrations, drawing visitors from China and throughout Asia. Further solidifying the role of retail in tourism promotion, South Coast Plaza has also actively supported the Orange County Tourism Council’s new China marketing office that opened in Shanghai earlier this year. South Coast Plaza annually welcomes more than 22 million visitors and a significant number are from overseas. According to Escher, approximately one-third of South Coast Plaza’s annual travelers come from the visitor market segment. South Coast Plaza’s gross sales, approaching $2 billion, is among the highest in the United States and supports thousands of American jobs. South Coast Plaza has become an important tourism promotion asset in Southern California, contributing to the marketability of the region as a key destination for international visitors. Escher and his team work with the Orange County Tourism Council, the State of California and Brand USA to promote tourism to the United States from across the globe. In June of 2013, Werner Escher was recognized for “exceptional vision and leadership in growing travel and tourism for the United States in support of President Obama’s National Export Initiative” when he was presented with the Peace through Commerce Medal by then-Acting Deputy Under Secretary of International Trade Ken Hyatt in a ceremony at the International Pow Wow (IPW) Tourism Summit in Las Vegas. Werner Escher and the South Coast Plaza are excellent examples of the clients that ITA’s Commercial Service help expand their exports and increase their revenues. Whether you are exporting travel & tourism services, or another product or service, please contact us to find out how we can help your firm achieve success in international markets! Justin Fisk is an intern in the International Trade Administration’s Trade Promotion Coordinating Committee. He’s a graduate of the University of Georgia, taking graduate courses at the George Washington University. Houston’s exports have been soaring, and they will get an additional boost now that Air China, China’s flag carrier, opened up a non-stop flight route between Beijing and Houston. This is Air China’s first non-stop flight route to the U.S. in 30 years, and it is easy to see why Air China chose Houston—the city consistently ranks near the top of the most globally-oriented business communities in America. In fact, for the first time since the data has been collected, Houston became the top exporter among U.S. metropolitan areas in 2012. Houston’s goods exports totaled $110 billion, accounting for more than half of all Texas exports. This new flight will only help Houston exporters continue to expand to new markets. Behind Mexico, Canada, and Brazil, China is Houston’s fourth-largest export market, importing more than $5 billion of goods from Houston in 2012. With China’s rapid urbanization and growing middle class, demand for American-made products is likely to grow. This new flight is the next step in expanding the relationship between Houston and China. The Houston Airport System’s economist estimates the Air China flight will bring $150-200 million of annual benefits to Houston. The flight will enable more face time between Chinese and American businessmen, a crucial aspect of the Chinese business custom of Guanxi. That can facilitate more export deals with the country and more investment in the U.S. from Chinese companies. Houston also stands to benefit from the increase in Asian tourists that this flight route will bring. The travel and tourism industry is a huge contributor to the U.S. economy, accounting for $87.1 billion in U.S. exports in the first half of 2013. China has been one of the fastest growing markets for visitors to the United States. Our Export Assistance Center is always ready to support Houston-area businesses looking to take advantage of new export opportunities. Commerce’s Minority Business Development Agency is also planning to launch a new Business Center in Houston, which will help regional minority-owned businesses expand to new markets and increase exports. These benefits will lead to more than just increased tourism numbers and contract signings. These exports support jobs in Houston, throughout Texas, and across the country. Metro exports are a huge contributor to national export numbers, and Houston’s success is setting the example for other metropolitan areas to follow. 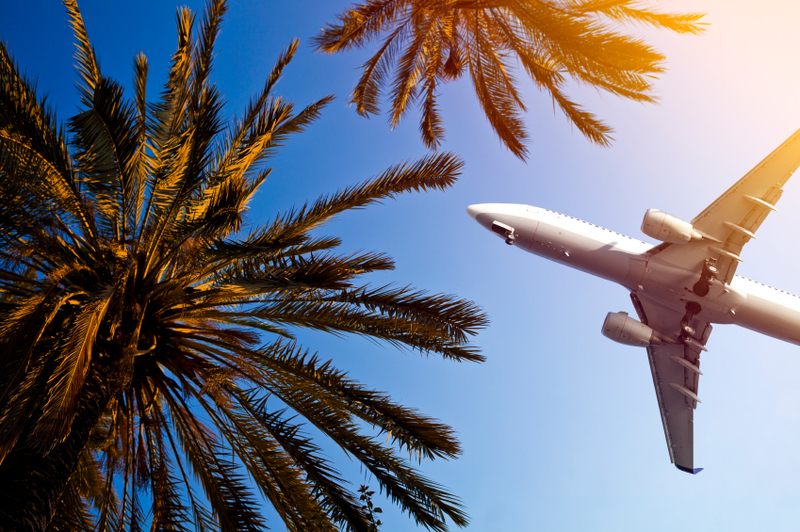 With each new international flight route, the world becomes more interconnected, and as Houston continues to expand its relationships with international markets, its exports will continue to soar. Calynn Jenkins is an intern in the International Trade Administration’s Office of Public Affairs. She is studying political science at American University. 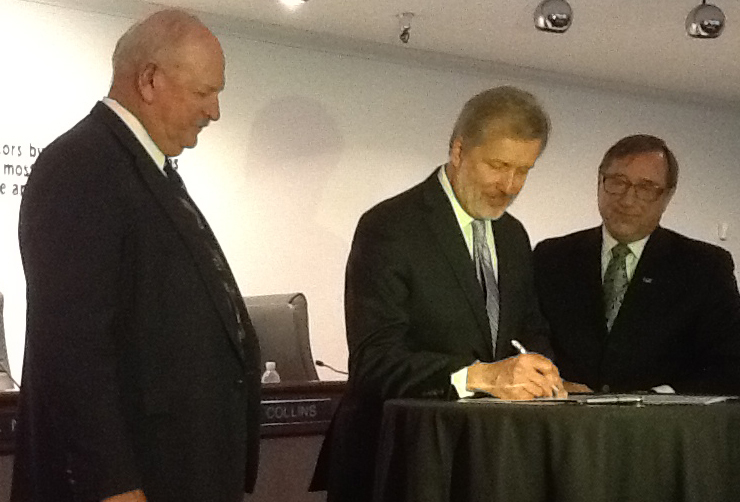 Clark County Commissioner Tom Collins, Acting Deputy Under Secretary for International Trade Ken Hyatt, and Las Vegas Convention and Visitors Authority President/CEO Rossi Ralenkotter sign a Memorandum of Agreement to support Nevada’s tourism industry. The United States’ growth in travel and tourism exports is the result of more than just a roll of the dice. Export success in this industry requires partnerships. Partnerships among government agencies as part of President Obama’s National Travel and Tourism Strategy have helped, and government leaders took another step earlier today. Tuesday morning, Acting Deputy Under Secretary of Commerce for International Trade Kenneth Hyatt signed a Trade Promotion Partner Memorandum of Agreement (MOA) with the Las Vegas Convention and Visitors Authority (LVCVA). This agreement between the International Trade Administration (ITA) and LVCVA creates a strategic partnership in order to strengthen Nevada’s tourism sector. Signing this agreement with Las Vegas makes sense; Las Vegas is a key destination for international travelers, with 39.7 million visitors in 2012. LVCVA has a goal of increasing the percentage of international visitors to Nevada from 17 to 30 percent. “We will leverage the strength of the Las Vegas brand and the Las Vegas Convention Center’s World Trade Center designation to further position Las Vegas as a global business destination,” said LVCVA President/CEO Rossi Ralenkotter. Not only will this agreement help the state of Nevada’s tourism sector and economy, but it supports nationwide growth in the industry. Travel and tourism supported 7.5 million jobs for American workers in 2012. The International Trade Administration is committed to the continued growth of the U.S. travel and tourism sector. To learn more about our efforts visit the Office of Travel and Tourism Industries and for detailed information on international travel and tourism visit the 2012-2018 forecast.